Our Michigan medical malpractice lawyers represent patients who have suffered injuries due to medical mistakes and errors made by doctors, nurses, and hospitals. These types of injuries are very serious and can be preventable. Every medical procedure involves risks and not all injuries are due to medical malpractice, but often patients suffer permanent damage due to the negligent performance of a procedure performed by the doctor and medical staff. If a patient suffers injuries from a C-section due to a medical error or mistake, it will give rise to a Michigan medical malpractice lawsuit. In certain circumstances doctors must perform cesarean deliveries. A C-section is a delivery made through an incision in the abdominal and uterine walls. A C-section may be ordered by the doctor when risk factors are high for a vaginal birth. C-sections are considered a major surgical process and doctors and patients should give serious consideration to the justification for the procedure as well as any contraindications. Although a C-section is one of the most common surgeries performed in the United States, there are several associated risk factors. 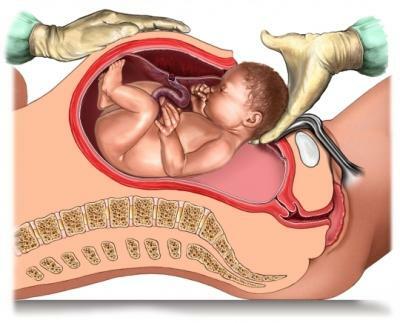 C-section complications can affect both the baby and the mother. A C-section can be lifesaving if done promptly and correctly. When a mistake occurs or a C-section is delayed, however, the results can be life-changing. Our legal team is prepared to guide and help you if you or your baby has been injured due to medical malpractice. We will represent you in your Michigan cesarean section malpractice case under our NO FEE PROMISE. This means that you will not be charged any legal fees whatsoever unless we obtain a settlement or recovery for you. You have absolutely no obligation for legal fees unless we win your case. If we do not obtain a settlement for you, you owe us nothing! Individuals injured by a medical malpractice should contact the Michigan medical malpractice attorneys at Buckfire & Buckfire, P.C. Call us now at (800) 606-1717 to speak with one of our experienced medical malpractice lawyers about your case. Additionally, you can fill out the free case review form on the side of this page and an attorney will be in contact with you shortly. Remember, we do not collect any legal fees or costs unless we are able to obtain a settlement or jury verdict for you. There is literally nothing to lose. When you contact us, our attorneys will listen to your story and explain to you the best possible course of action. If we believe you have a case, we will begin work on it immediately.